The sprinkler parts are widely adopted in gardens or on roofs. To make garden flourish with abundance amount of clean water, or just to clean roofs to keep them clean from covered all over with dirt and falling leaves, this product is definitely qualified to meet the demands. We offer ranges of sprinkler parts for different purposes. Besides, the price we provide is reasonable for fine quality products. Jinn Woei has been devoted in the sprinkler parts industry for many years. 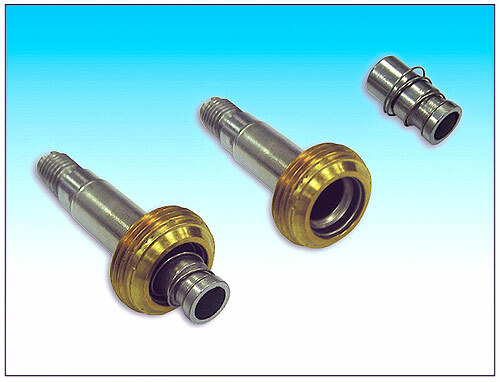 We’re proud of our manufacturing skill of making practical component series. Although it is just a little component, it still matters to complete a well-function system anyway; that’s why we care about details. The devil lives in the detail. We urge ourselves to produce better and better components, just in order to make your life perfect. If you are interested in our products, please do not hesitate and send your inquiry today! We are ready to serve you the best accessories for your lawn sprinkler system.